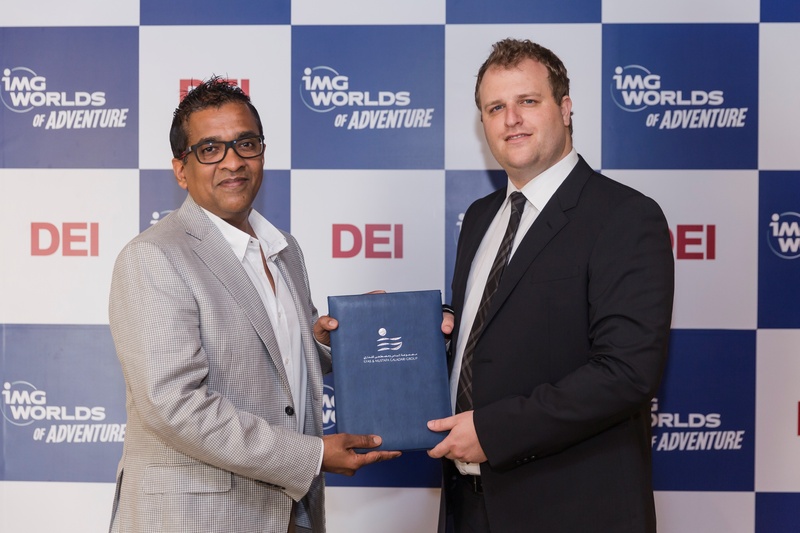 Leading global souvenir imaging provider, DEI has been awarded a 3 year contract to become the exclusive operating partner for IMG Worlds of Adventure, the world’s largest indoor theme park, wholly owned by the Ilyas and Mustafa Galadari group, opening August 15th, 2016. An integral part of the theme park experience, DEI will facilitate a range of photography options such as ‘Interactive Green Screen Videography’, where guests’ images are imported into scenes from different zones to capture moments such as posing with the Avengers or ‘Magic Shots’, which are instantly shareable images in which the background comes to life or ‘Action Pictures’ capturing the guests riding the rollercoasters and, finally, there will be roving photographers to click pictures of guests interacting with their favourite characters for memorable keepsakes. Commenting, Mr. K.S. Ramakrishnan, CEO of DEI, said, ‘We are delighted to be awarded the souvenir imaging provider contract with IMG Worlds of Adventure for the world’s largest indoor theme park and this is another concrete testament of our position as the global market leader for providing end-to-end infrastructure imaging solutions’ and commendable customer service. Situated within City of Arabia, along Sheikh Mohammad Bin Zayed Road, IMG Worlds of Adventure spans 1.5 million square feet and is expected to welcome up to 30,000 people per day. Consisting of four zones, hosting global brands MARVEL and Cartoon Network, whilst introducing Lost Valley – Dinosaur Adventure and IMG Boulevard, IMG Worlds of Adventure will be Dubai’s first mega-themed international amusement park. IMG Worlds of Adventure will feature a unique array of adrenaline-pumping roller coasters, thrilling rides, and spine-tingling attractions, bringing the latest in family entertainment to Dubai. The destination will also offer a variety of themed retail stores, exclusive dining venues, and a 12-screen state-of-the-art Novo cinema.